Home March Break Free Bowling! Free Bowling! Friday, March 17th at Brunswick Lanes! Hourly times available starting at noon! 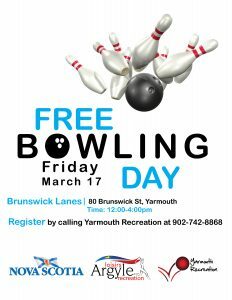 Everyone welcome but please call Yarmouth Recreation at 902-742-8868 to register and reserve your lane!